Use this printable to do list and keep your days on track! Hey friends! How is your year going so far? Have you been able to stay organized or has everything fallen apart already? It’s ok if you’re in the “everything has fallen apart” category. Believe me, I KNOW. 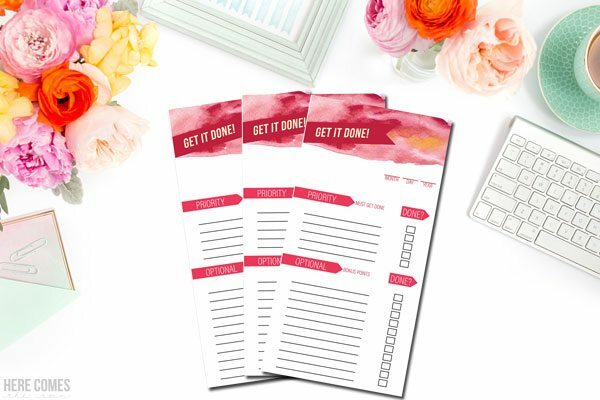 Last week I shared some printable planner stickers with you and today I’m sharing this printable to do list. Everyone has their own method of getting organized. Some if you may enter everything into your phone, some of you may scribble things down on scraps of paper and some of you may have it all together and polished in a planner that looks gorgeous with a bunch of stickers. For me, I put a lot of things into my phone just because I can set reminders. But I’ve also started using a planner too. I’m trying very hard to get out of the scribbling on scraps of paper habit. It’s hard but I’ve found that whatever method you use to get organized, the key is to have things written down in one place. 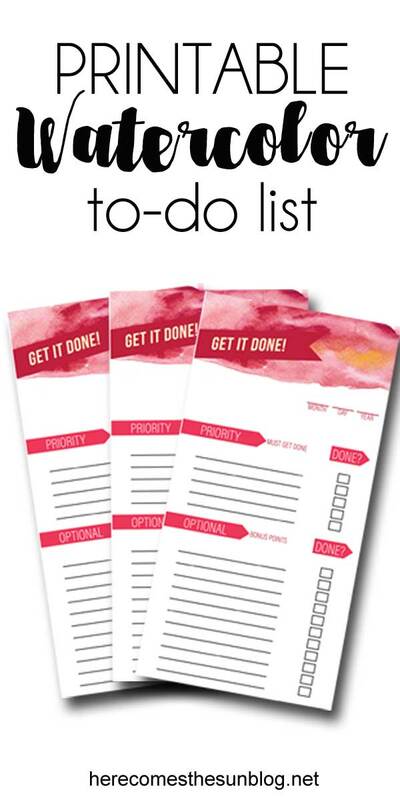 That’s where this cute printable to do list comes in. You can print it out as many times as you like! No more running out to the store to buy another list. Just print a fresh one from home. You can use this as a daily to do list or a weekly to do list. There is a space for the month, day and year at the top so feel free to use it however best fits your life. This is one of my first full projects using Adobe Illustrator and you can see exactly how I created this to-do list here. Up until now, I’ve designed all of my printables in Photoshop Elements but I decided to take the plunge into Illustrator because there is just so much more that you can do with it. It’s my new favorite thing along with hand lettering on my iPad Pro. So tell me, what is YOUR favorite way to keep organized? Are you a digital organizer or pen and paper organizer? As always, this file is for personal use only. You may not sell or redistribute it. This to do list is formatted as a PDF and fits 2 lists onto an 8.5×11 sheet of paper.